SHLURPPP! The school cook serves up smooth custard! 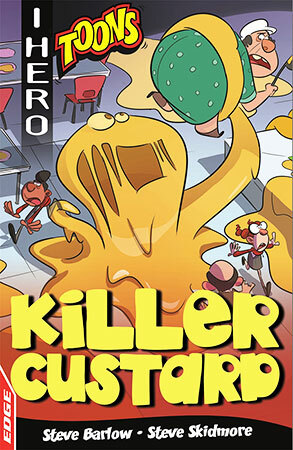 And it that wasn't weird enough, the yellow stuff comes alive and starts to eat everyone... YOU must stop the revenge of the killer custard, before it's dessert time for everyone.